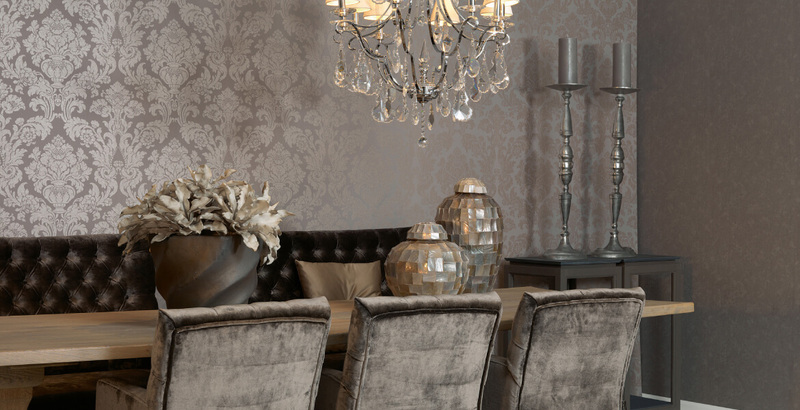 Beaumont is an elegant collection with a subtle, warm and glamorous colour scheme. The collection is a well-balanced mix of beautiful ornamental designs and horizontal stripes creating a huge impact on the wall. A natural plain wallcovering finishes it off. By using gold, silver, bronze and other shiny effects the wallcovering gets an exceptional look. Sea green, purple and icy blue make the collection appear extra exclusive.